Hayden Field is a 500 seat baseball park aluminum grandstand that was built as part of a full renovation in 1982 for Xavier University. The ballpark is located on Xavier University's Campus in the northeastern most part of Cincinnati Ohio in the Evanston section of town, right off I-71. 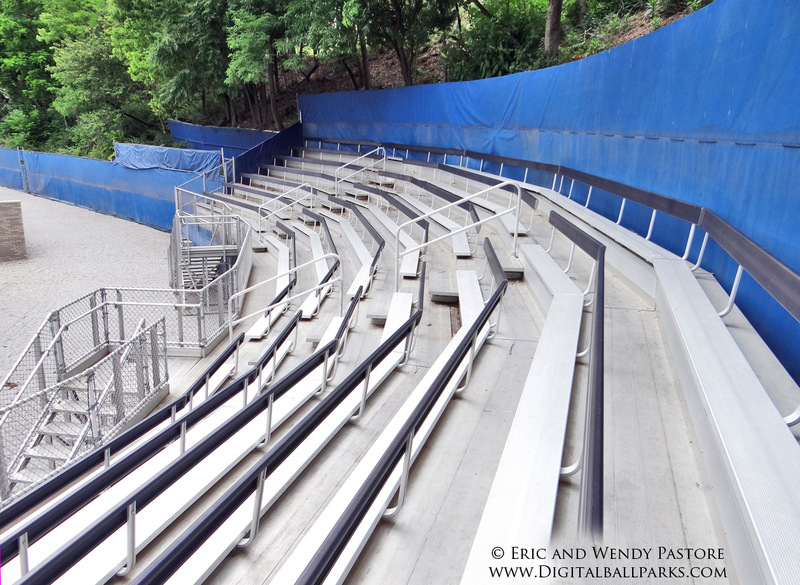 The ballpark is a simple aluminum structure but has a unique curved look to it with full seat backs (and not just the usual "bench seating"). A blue tarp provides the back drop giving the appearance that the ballpark has more architectural "structure" then it actually does. It also serves the purpose of keeping the hill behind you from encroaching on the stadium as this is ballpark is built into the side of the berm (like Dodger Stadium). This is the only "permanent" seating in the entire ballpark, however there are some great locations that are left open for lawn chairs to get close to the action as well.